HR leaders are well aware of the many areas of potential liability that employees may hold. From wage and hour claims, to FMLA violations, data breaches, and more, HR leaders and the employers they serve faced a constant barrage of potential risks. You could likely add to this list. 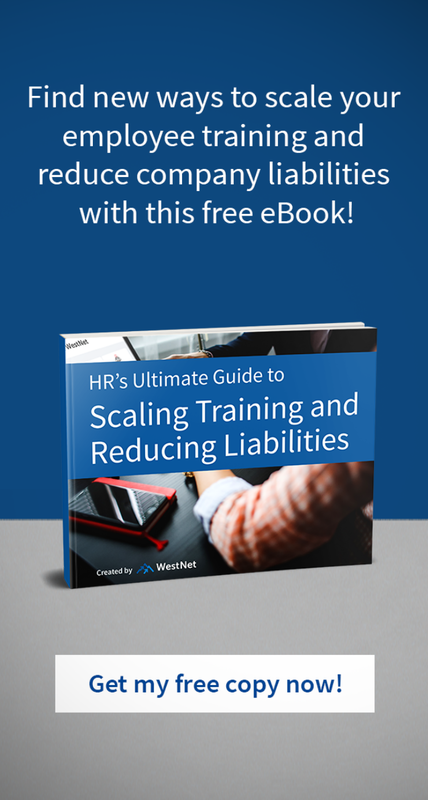 And, of course, all of this in an environment that is fraught with change on many fronts, meaning that the liability landscape is continually shifting and changing—and HR pros know it. These days, with the #MeToo movement and seemingly daily reports of workplace harassment, harassment issues also are top of mind for many employers. SHRM reports that, last year, the EEOC “recovered $164.5 million for workers alleging harassment.” That’s just the tip of the iceberg when it comes to the high costs companies face from an employee liability management standpoint. These are risks that can be minimized, or avoided, by ensuring that managers, supervisors—and all staff—are aware of company expectations and understand how their actions, or inaction, could affect risk. In some cases, that risk extends to the employees themselves (e.g. managers who fail to follow appropriate employment law practices when hiring, disciplining or terminating employees). All managers and HR professionals are at risk of being held personally liable in claims of employee liability. The common denominator in defending against claims of employment liability is communication. Ensuring that employees understand the risks, and their roles, is a fundamental first step in protecting the company from liability claims. But that’s no simple endeavor. Issues are continually emerging, employees come and go and everyone is faced with a myriad of information coming their way making it challenging to ensure that employees are up-to-date, informed and compliant at all times. Ease of use. Even if you build it, they won’t necessarily come, unless you make it easy and intuitive for staff and managers to get answers to the questions they have—now! There are a wide range of solutions available on the market today; not all are created equal. Your evaluation should start with a thorough understanding of your staff needs and preferences in terms of training. For instance, are your staff on the go, meaning that mobile solutions might be better utilized that desktop options? Would they prefer accessing training or information from home or other locations? Will you want to incorporate audio? Video? Interaction? Assessing employee needs through focus groups, one-on-one assessments or surveys can help you identify, up front, what functionality will be “must have” versus what may not be highly valued, or necessary, in your environment. Scalability. As your company grows, so do your compliance needs. You’ll want to consider not only how many users will need to access the system, but also how often and—as previously discussed—the setting(s) in which access will be needed (e.g. on-site, remote, mobile). A Learning Management System (LMS) to help you track and analyze the effectiveness of your L&D efforts. An easy to use Learning Management System (LMS) can not only help you deliver information and education to employees on critical topics, but can provide a data trail and analytics insights as well. This is critical to provide insights on the effectiveness of your training efforts (e.g. through quizzes and other assessments) as well as to provide documentation of who has been trained, how often, and with what results. In today’s environment, liability is top-of-mind for boards, C-level executives—and busy HR professionals. A focus on compliance doesn’t cost, it pays. Find out how you can better manage employee liability through a solution that meets your needs. WestNet Learning is a cost-effective LMS service, specifically designed for business training, safety, and management needs since 1996. No matter the size of the company, WestNet Learning provides an easy-to-use platform, utilizing the latest technology for Human Resource professionals that strive to ensure their employees safety and prevent company liabilities. If you would like to learn more safety tips, or learn more about how an LMS could help you improve liability management, schedule a 1-on-1 strategy discussion today.